An Aussie in Boston learns to run. And tries not to fall down. 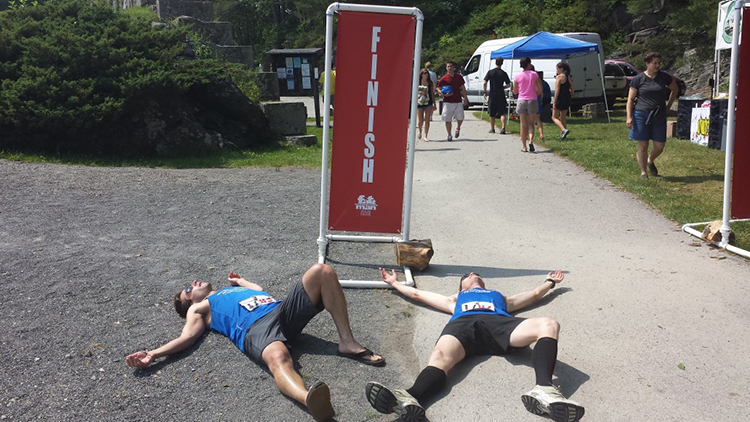 Since the inception of Stride and Joy, we’ve run races all over New England. There’s been a jeans-based jaunt in R.I., a dizzying number of laps in CT, a truly Mad time in VT, AG awards for two in NH, an Old Port (or two) in Maine, and an abundance of miles at home in Massachusetts. So when the opportunity came to run across all six states in one weekend, it seemed like the easy thing to do. I mean we’d run there before, right? How hard could it be? For you see, the New England Relay (or NER, because “New England Relay” is a lot to type over and over again) is a team event that covers 225 miles across six states in two days. This is something that is really only possible in the tiny states of New England. Run 225 miles in Texas and you are still in Texas. This odyssey is the brainchild of a man named Brian Hamill. He came up with the idea several years back and diligently worked to create what can rightly be called a piece of running genius. It’s all back roads with some trails thrown in. At night, the run is along roads with little traffic but wide shoulders to ensure everyone’s safety. The race starts in North West Rhode Island at the Casimir Pulaski State Park and quickly heads to Connecticut. I think there’s about 400 yards in Rhode Island, but that’s enough to count and get it quickly struck off the list. Connecticut is also quickly completed, with the runner of the second leg crossing the state line into Massachusetts during their first five-mile leg. From there it crosses Massachusetts from south to north and winds its way into Vermont. The run is timed to go through Brattleboro, VT, early on Saturday night, when far saner people are enjoying a leisurely stroll on a warm summer’s night out on the town (am sure they would rather be running!). It’s then across the Connecticut River into New Hampshire. For a small state, there’s a lot of running (and a lot of hills) to be had. Finally, the race finishes at the water’s edge in Kittery, Maine, home to the world famous* (*may not actually be world famous, but they should be) Kittery Outlet Mall. There have got to be easier and less sweaty ways to get to this shopping nirvana. 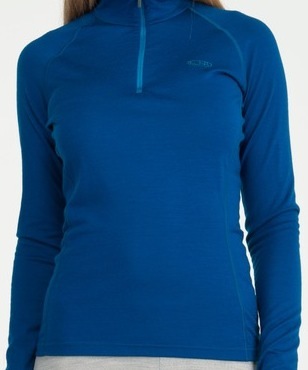 This is the Chakra Long Sleeve Half Zip from Icebreaker, a New Zealand company that makes fabulous gear out of merino wool. It's toasty warm and doesn't get stinky. Also, Icebreaker loves color!